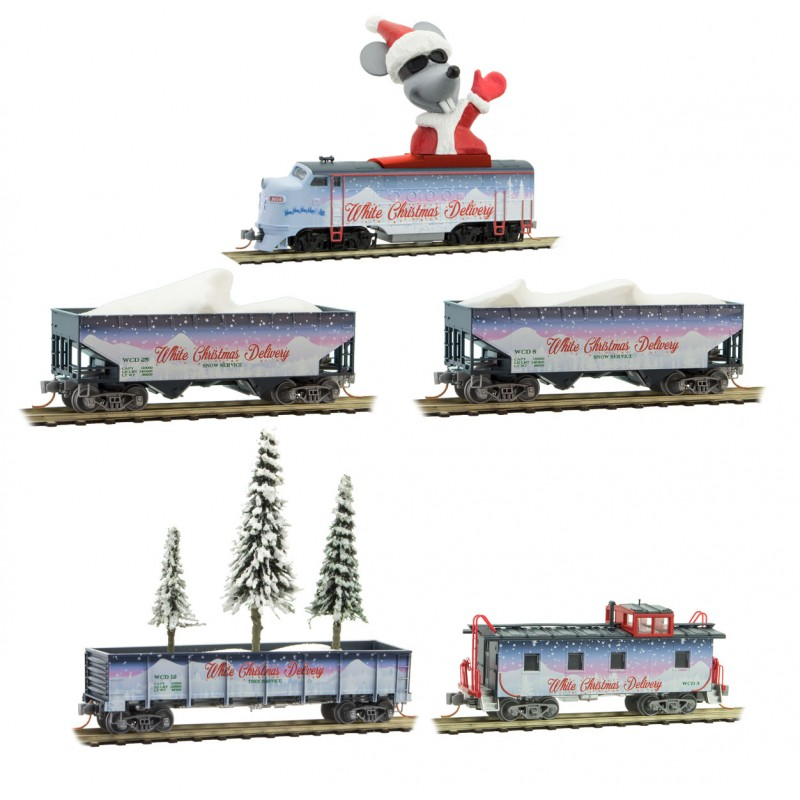 This winter Micro-Mouse is delivering a white Christmas to your town on the ‘White Christmas Delivery’ train! Stocked with two hoppers of white powder snow and snow-covered trees, he’ll guarantee your town has a white Christmas. 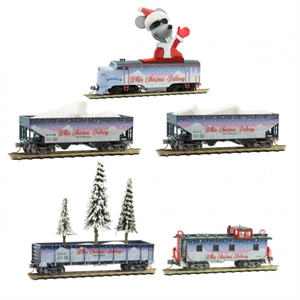 This set features a powered FT locomotive, three cars and a caboose, all decorated with a wintery scene, and a 3-dimensional Micro-Mouse and three individual trees!